Want to study finance or marketing, taste the best wines in the world and have a passionate French romance? The French Institute in Tel Aviv helps you fulfill these three very legitimate desires. How? 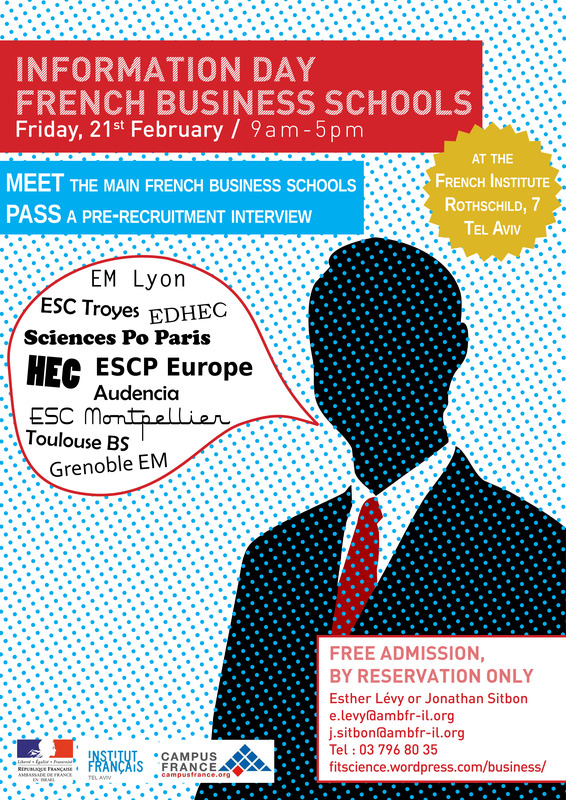 By hosting on Friday, February 21, 2014 an exclusive information day on the French Business Schools. What is it about? Check out the presentation of the Information Day. What is going to happen there? Check out the program. Who am I going to meet? Check out the list of the attending French Business Schools. Want to participate? Registration is free, but compulsory.